Apparently, developers are having issues with the Mac App Store…and unfortunately for them, these are still unaddressed and are definitely ignored by Apple. The people at Cupertino are not exactly doing their best to help developers out – take note that the App Store is thriving because of the thousands of third-party apps, made by the developers themselves, which are currently in its inventory. If you’re asking why, the answer is pretty simple: Apple has seemingly forgotten about the Mac App Store. Although the people at Apple’s headquarters will immediately refute this claim if you directly say it to their faces, the evidence is mounting and the recent slew of problems hounding both users and developers prove it. [insert app name here] is damaged and cannot be opened. Delete it and download it again from the App Store. Sure, this is not a problem if you only have one or two apps from the App Store installed on your computer, but what about if you have dozens of utilities which were apparently “damaged”? You would have to do the eye-rolling task of deleting and installing them again, which could take several hours if you’re lucky. Some Macs were affected, some were not…all because of a crucial oversight on Apple’s part. We hope – and internally demand – that Apple provide a fix. It’s not a backbreaking problem so to speak and is more of an annoyance than a liability. But still, trivial inconveniences like these do not befit a company of Apple’s stature – the blunder should have been avoided in the first place. The errors and the cause of the “damaged” files can be rooted from a cryptographic certificate change that was implemented to ensure the security of the applications in the Mac App Store. Yes, Apple did this in good faith, but the implementation was nasty. This is a big deal for the developers. Unfortunately, this recent boo-boo is not the only thing that is currently hounding the Mac App Store: there are several other headache-inducing conundrums developers are trying to overcome. These are troubling and if Apple wants to help out the app developers, solving these issues is a necessity. Unknown to many, Apple charges 30% of an app’s price – so basically, if you bought a $9.99 app, at least $3 goes to Apple. Although developers who create renowned and mass-downloaded applications are barely affected, the small-time developers and those who are trying to scrape pennies on the bottom of the barrels are direly affected. There are only a handful of lesser-known third-party applications in display at the home page. That being said, we’re sure that they will be replaced in lieu of the newer and more popular apps in a matter of a day or two. Apple may not even be promoting your app…at all. Sure, you can have your app downloaded by hundreds of users by being in the Mac App Store, but investing in a website and promoting it through social channels and SEO would yield long-term results – look at what certain apps outside the Mac App Store are doing. Take note that developers are fighting tooth-and-nail for recognition – they have lowered the prices of their applications and doing everything they can to outdo the other. There’s even a new digital marketing facet called App Store Optimization. The competition is fierce, and this has obviously turned off several app developers. Developers and companies cannot reply to a review. When someone posts a review complaining of a bug or a glitch, developers are powerless – they won’t be able to reply to the user and inquire about it or simply say something that could ease up the tension. Take note that users are more likely to speak out their mind and point out mistakes about an app before contacting your support team for a fix. This process protects systems and users from malware and virus attacks by simply limiting the privileges of an app to its intended functionality. Again, Apple implemented this in good faith: developers and users obviously don’t want their devices compromised and their personal information stolen. However, the whole process is rather tedious to most developers – apps may have glitches caused by the sandbox, causing the app to not work like how it’s supposed to. According to developer Rob Griffiths, they even had to leave out some features because of this. When your application is complies with Apple’s edicts and guidelines, it’s all good: you’re allowed to thrive in the community and the big boss will shower you with love and be your gateway to success. However, if you don’t comply – as some developers unknowingly do – Apple will immediately remove your application from the Mac App Store without prior warning. This is why developers need to take note of the rules and new updates imposed by the great law-giver. This prospect is a horrible one for users whose only storefront is the Mac App Store. They’ve not only lost their sales medium, but also their potential users. Sometimes, they don’t even have a website of their own. Being devoid of contingency plans, they might just fold up, pack their bags, and quit the business… all because of a technicality. On the bright side, Apple rarely behaves like this and once again, they do this in good faith, as they don’t want to compromise their users. When you submit an app to the App Store, it takes at least seven days for Apple to approve and review it. Sure, Apple needs to assure the quality and safety of each app they put on sale in the Mac App Store, but this wastes a lot of time.This is true whether you’re trying to patch a bug fix or are trying to chase a deadline. We’re pretty sure that Apple can quickly address and provide fixes to these issues in a hurry. But the thing is, they are unwilling to change the status quo and hey, despite the dilemmas, the App Stores, for both the iOS and Mac, are relatively successful compared to their competitors. The bulk of Apple’s App Store revenue comes from iOS apps and this is probably why the guys at Cupertino would rather focus on their mobile platforms instead of the Mac. Proof? Well, the iOS App Store was introduced in 2008 – it took Apple at least three years to create a desktop version for the Mac. This is so despite the Mac having an already-thriving developer community. However, it may also be the cause of why Apple didn’t bother creating a desktop store – why would they when there’s already and amazing developer base? Regardless, they got their act together and created the Mac App Store. The same app restrictions on the iOS App Store is also being enforced in the Mac and this is lead to a couple of issues. One, if you put the same rules on different mediums there is bound to be some sort of glitch or conflict – this is like trying to enforce military discipline on toddlers and teenagers in a single setting. Second, the iOS came first, so its rules and design were the ones that were implemented. It was made to be a strict and secure platform from the first day. Mac developers needed some sort of freedom from some of the rules (like modifying system settings), and unfortunately, they weren’t given the privilege, which is why the Mac App Store never took off like how its iOS counterpart did. Mac App Store developers don’t have access to TestFlight, unlike the people behind iOS apps. This tool allows developers to test out beta versions of their applications, which is why it’s relatively easy to detect errors and fix bugs in iOS devices. The unavailability of TestFlight is hilarious, horrendous, and nonsensical – it’s a crucial tool that would help Mac App Store developers a lot. This also bars developers to test out iCloud integration until the final release, adding more to their headaches and woes. Take note that Apple isn’t even mentioning the Mac App Store in its MacBook pages. Sure, it boasts great native apps, but don’t you think the Mac App Store could use a little real estate? It’s as if Apple is ashamed of having it around. 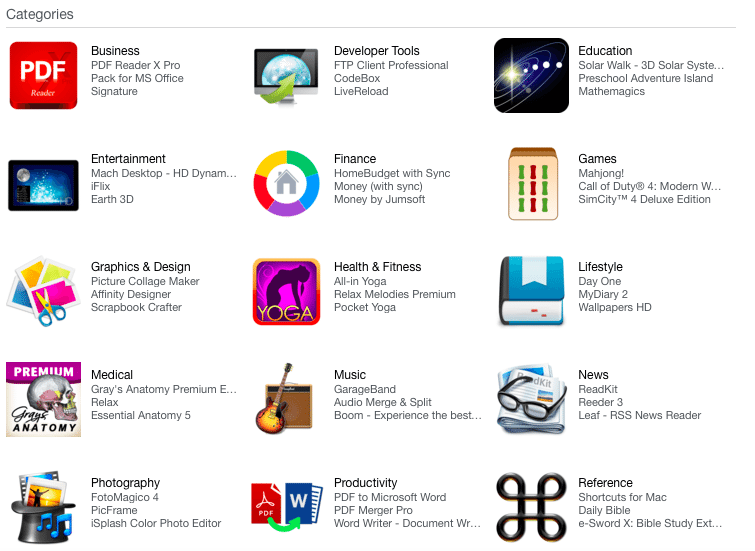 How can the Mac App Store improve? 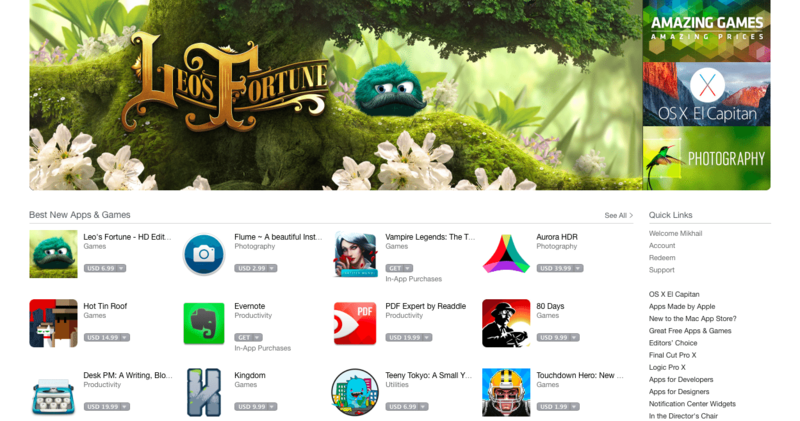 There are several things Apple can do to improve the whole Mac App Store experience for its embattled developers. Though the number of apps is steadily increasing – particularly in the gaming section – Apple needs to improve or innovate if it hopes to make it as popular as its iOS counterpart. First, Apple should listen to the developer population. The average developer probably has a dozen concerns they want addressed. But hey, Apple has always been stubborn and never gun-shy to throw curve balls at anyone, so we’re not banking on this. Second, allow developers to place demo versions of their apps. Although there are free versions of apps in the App Store which double as demos and watered down versions, real-authentic demos are still a must. Apart from giving users a taste of what it’s able to provide, demos SELL the app. It would be great to see demo versions of games on the Mac App Store any time in the future. Third, allow developers to respond to reviews. Hey Apple, every review website on the web allows business owners to reply to the feedback given by their customers. This leaves little room for developers to know what their users really think, giving them fewer opportunities to improve their apps. Though we could see a full-on flaming war like those in YouTube comments in the App Store, such occurrences will be unlikely as developers will always try to preserve their integrity. Four, give the Mac App Store developers TestFlight. The absence of this tool, paired with seven-day review times is a deadly combination. If bugs and glitches are left unfixed, an app could take at least a few weeks to go live or make a crucial update. TestFlight will definitely shorten the period and help developers out – we don’t know what’s keeping Apple from giving Mac App Store developers access. Apple prides itself as a company that frequently innovates and dishes out better products compared to its competitors. Sure, the Mac App Store is leagues ahead of the Windows Store and its other competitors, but it’s not without flaws and things to improve on. On a brighter note, we’re not going to deny that the Mac App Store is awesome – it’s a great platform, and definitely the best way to sell your apps and go viral. It just needs a little tweaking for it to become an entirely awesome medium for the persons responsible for breathing life into it. Just to be on the safe side, don’t make the App Store your only storefront – create a website of your own!